If your bathroom vent fan is making a vibrating noise, stops running or doesn’t turn on, it may be time to replace it. 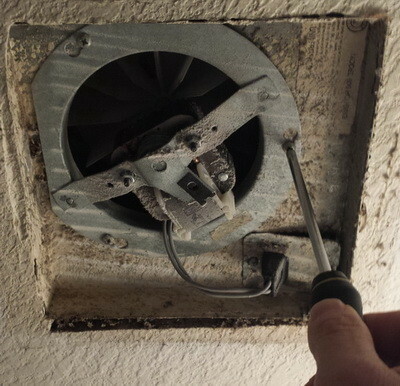 Most of the time the small exhaust fan motor will go bad and need to be replaced. The vent fan in your bathroom works very hard as it has to deal with heavy moisture, cold, heat, chemicals in the air, and dust. These conditions can make the fan blade impeller motor freeze up or short out. 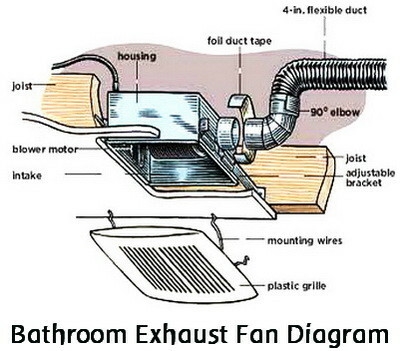 Most bathroom venting exhaust fans will last many years depending on moisture conditions. 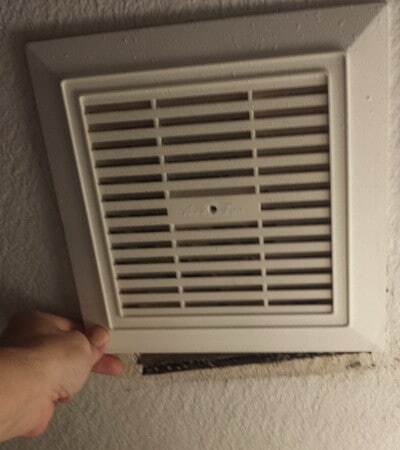 Usually these exhaust vents are installed in the bathroom ceiling and are easy to remove and replace. 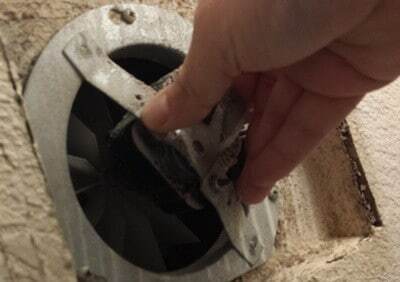 If your bathroom exhaust fan is making a weird vibrating noise or just will not turn on and vent out the moisture, then here is how to fix it. 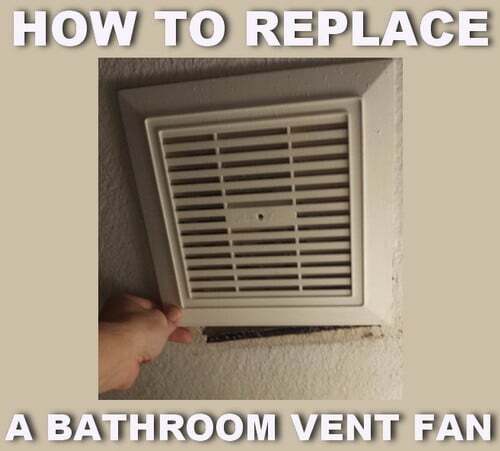 When performing bathroom vent fan replacement installation, you do not need to remove the complete vent assembly. You only need to remove the fan motor housing assembly. You can then look online or take the fan housing assembly to your local home improvement store (Lowe’s, Home Depot, ACE) and match it up with a replacement fan motor assembly. These fan replacement motors are inexpensive at about $20 dollars each. They are super easy to replace, you just have to make sure you match it up with the correct replacement motor that will fit in your vent housing assembly. Use eye protection when removing and replacing the fan motor as dust will be covering everything inside the vent and may fall into your eyes. NOTE: Before replacing the fan motor, make sure the plastic cover is tight and not creating the vibrating noise because it is loose. 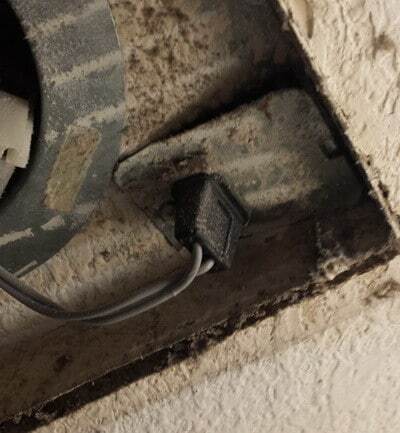 Also, there may be a weird noise coming from inside the vent because there is so much dust and dirt covering the moving parts. At this point you can simply clean the dust off of the fan blades and surrounding area. Clean everything out using a wand style vacuum cleaner and then test to see if the noise has stopped. You can also remove the fan motor assembly (see below for how to remove) and plug the fan motor into another power outlet in the house. This is to see if it is turning properly. You can also add a few drops of oil on the fan motor shaft if it has seized up. Once you have done everything you possibly can without replacing anything, put everything back together and test to see if it is working properly. If so, it was only dirty and replacing the fan motor is not necessary. If it still does not work properly, then follow the instructions below to replace it. Step 1. 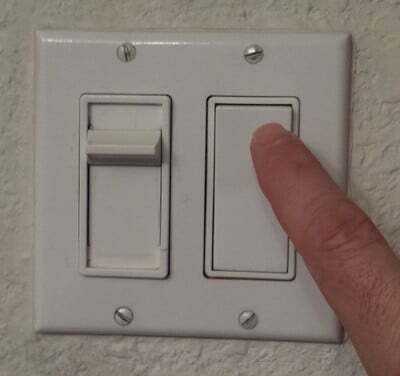 Turn off the switch so power is not going to the exhaust fan. (You may need a flashlight if the vent fan and bathroom lights are on the same switch). OR pull the cover down and squeeze the metal clips and pull downward. Step 3. Unplug the fan motor power plug from the vent housing assembly. Step 4. Remove or loosen the screws holding the fan motor assembly to the vent housing assembly. NOTE: Some fan motor assemblies may have to be removed differently such as with clips, slats or other. Step 5. Turn the motor housing clockwise and pull downward to remove the complete fan motor assembly. NOTE: Some fan motor assemblies will need to be turned, pulled, or completely unscrewed to be removed. Watch out for dust falling in your eyes as the fan will usually be caked with it. Step 6. 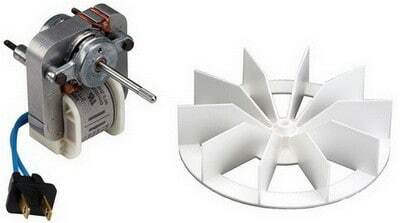 Take the fan motor assembly to your local home improvement store and match it up. such as Broan, NuTone, Craftmade, Panasonic, Delta, Air King, Progress, Fan Tech, etc. Search for the exact manufacturer replacement to make sure it is still available. There are Universal bathroom fan replacement motors that will fit in your existing bathroom vent assembly. Here is a step by step video that will provide additional guidance to replace a bathroom vent fan.